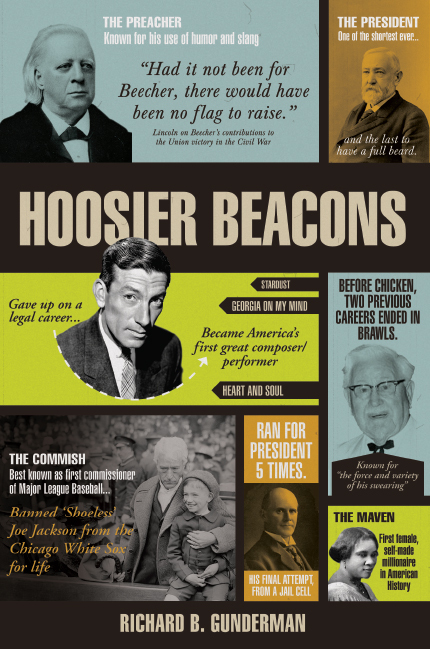 It is remarkable how little many Hoosiers know about the history of our state and its amazing people. Some of the greatest athletes, composers, entertainers, entrepreneurs, innovators, leaders, musicians, philanthropists, politicians, preachers, public servants, scientists, teachers and writers in U.S. history were nurtured by this soil. Yet too many Hoosiers have no idea that they share an Indiana connection.